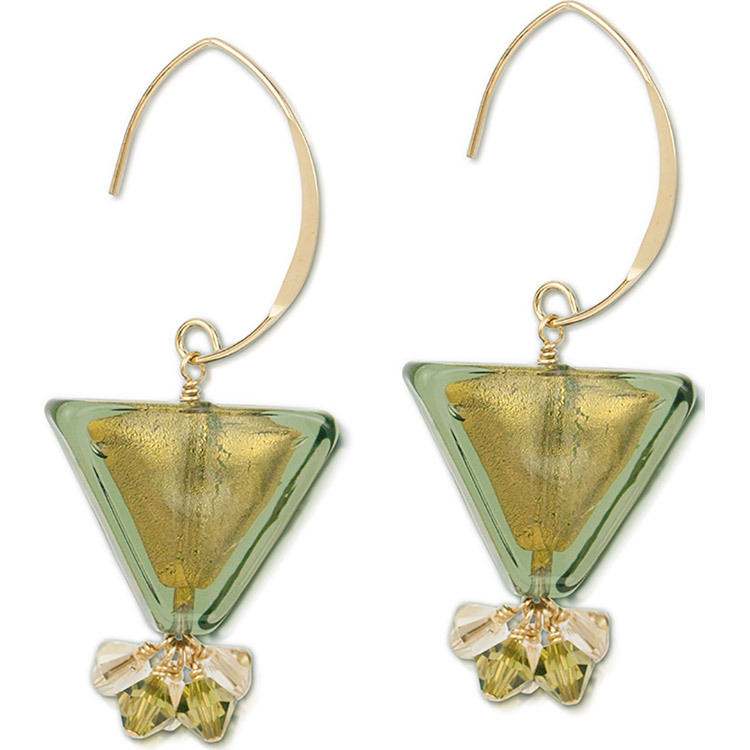 Gray Murano glass is set over 24kt gold foil for these Olivine over 24kt Gold Foil Triangles. We inverted the triangles for a little more interest. . Accented with Swarovski crystals and gold filled earwires. Approximately 1 5/8 inches(40mm) in length.